The next big item on our build is the choices of colours and internal selections. This requires a full day at the Metricon’s Studio M showroom. This day will see us select our internal and external doors, paint colours, brick selection, tiles, taps, sinks, powerpoints, and so much more. This week we locked in our appointment for mid-October. The start of the day will be focused on our electrical plan, where we’ll detail the location and number of powerpoint, network points, NBN installation, lighting and light switches. The second part of the day will be the selections essentially all other items internally as well as a few external choices like bricks. Given our land isn’t ready till around Easter next year, there’s no rush for this to occur and by delaying it for couple of months, it gives us plenty of time to think long and hard about combining the personal preferences of two individuals. This is a process that will see us work through dozens if not a hundred plus decisions and need to end up with a house that looks like one consistent thought and plan created it. This challenge is one that all couple go through and so far our tastes are combining well. It’s easy to say I love or I hate something at first sight, but what if that’s the exact selection the other really loved. It’s likely best to say what your preference is, then detail or pitch the other on why it’s the best and come to some compromise. It’s not always possible to meet in the middle, especially if your selecting from an even number of selections. There will definitely be some selections that I care about strongly and are in my must-have category, and some my wife will have as well. In those circumstances, if the other is ambivalent about that selection, it’s likely they could easily live with the selection of the other. The most difficult time will be when both of have passionate opposing views on a selection, so lets hope those are kept to a minimum, or at least resolved before the day. Of course the other big consideration we have is budget. We have $5K set for electrical and $5K for other options already accounted for. After reading the experiences of others, it’s hard not to go nuts there and walk away with a big additional cost. So there in lies the challenge, to be diligent about keeping costs down while ensuring you end up with a house you can not only live in and works functionally, but one that you love without spending the world. I’ve already spent some time walking around Studio M, virtually. 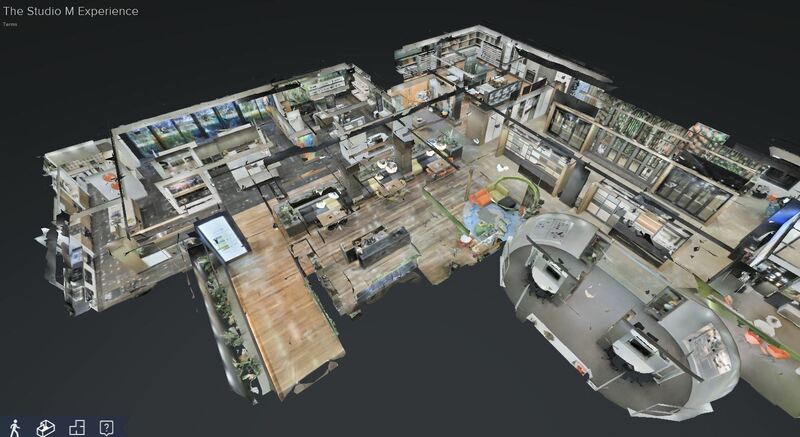 Obviously products change over time, so it’s not a perfect representation, but the street-view style walkthrough provided by Scann3D allows us to browse the place before ever visiting. Of course there’s also this video preview from Metricon.